- Burgundy candle, scented with coconut, mint, cedar and eucalyptus. "Allow me to use my inner being to see and understand the deeper meaning of life. Let me counsel others to find a place of joy and tranquility in this world." 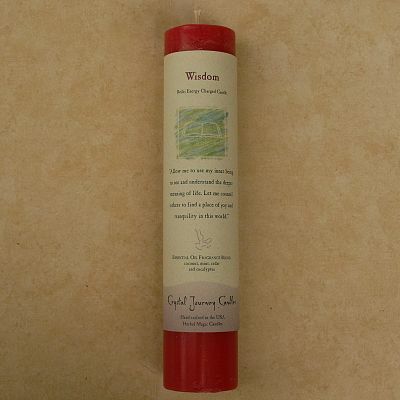 Do you have any other questions about our Reiki-Charged Wisdom Pillar Candle?